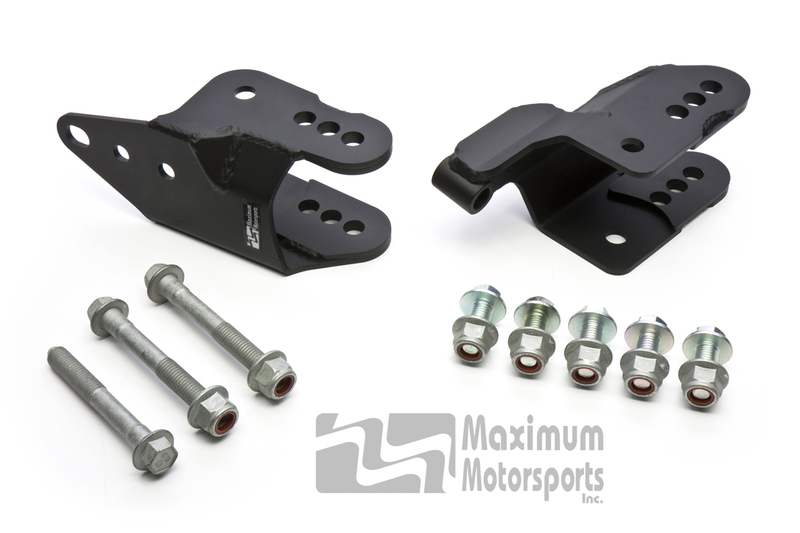 Upgrade to XD control arms? 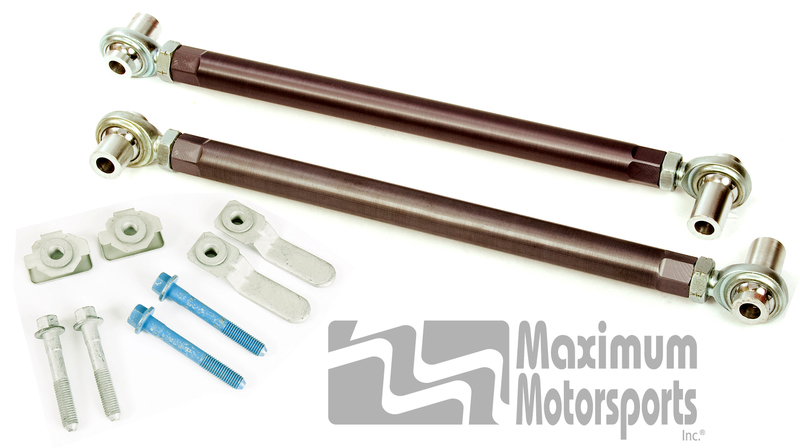 Maximum Motorsports Road & Track Box for 2005-2010 Mustangs greatly improves handling, pushing cornering power above the 1.2g level, while retaining ride quality suitable for a daily-driven Mustang. For 2011-2014 Mustangs, see the RTB-51 package. Superior handling for their street-driven Mustang. Ride comfort suitable for daily commuting and long trips. 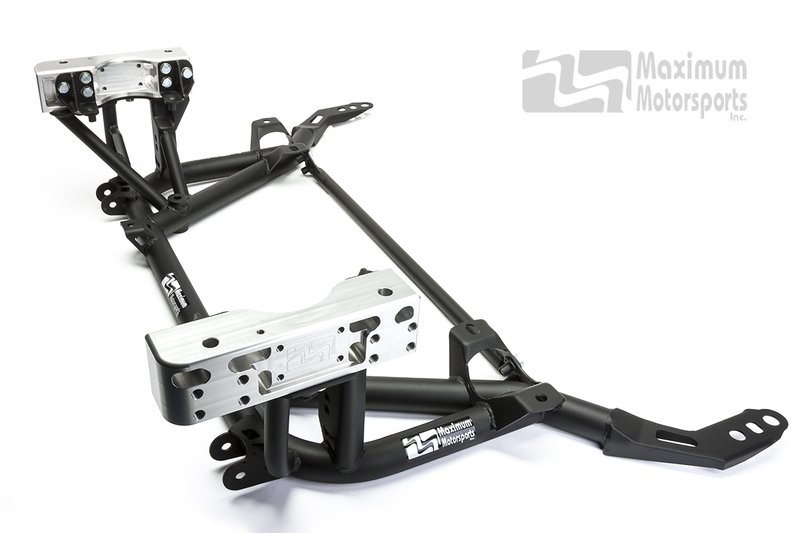 The ability to enjoy open-tracking or autocrossing with only a minor compromise in performance compared to a Mustang purpose-built for track use. 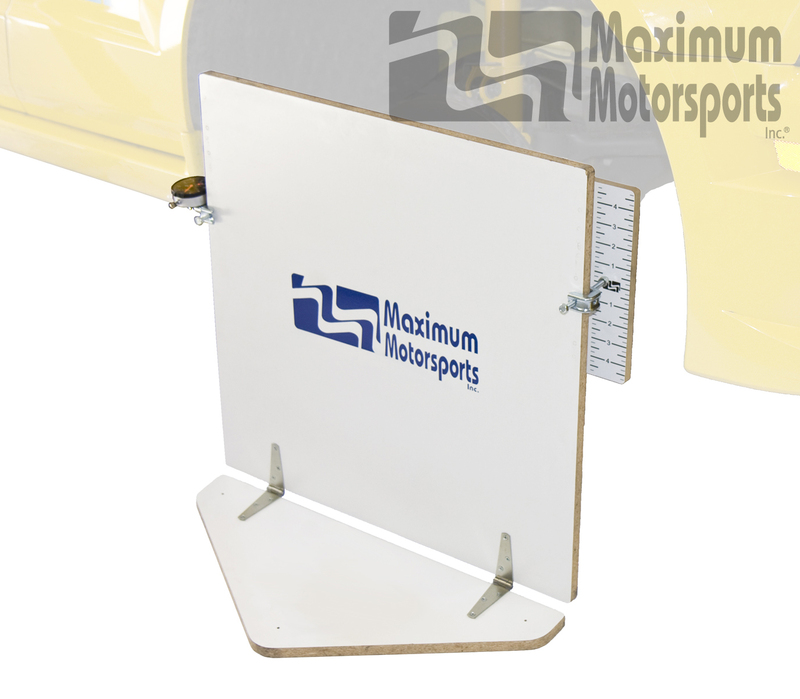 The Maximum Motorsports Engineering Team fine-tuned this Grip Box through extensive testing. We used a Motec data acquisition system to log-test both street and track sessions. 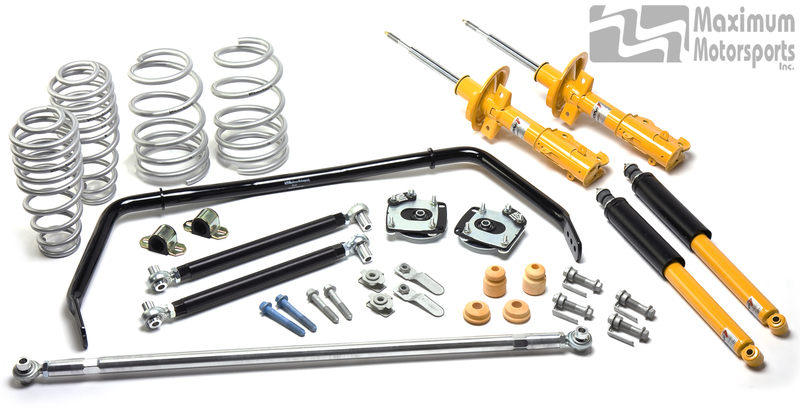 This gave us the precise information we needed to choose swaybar and spring rates for the best combination of ride quality and track performance. 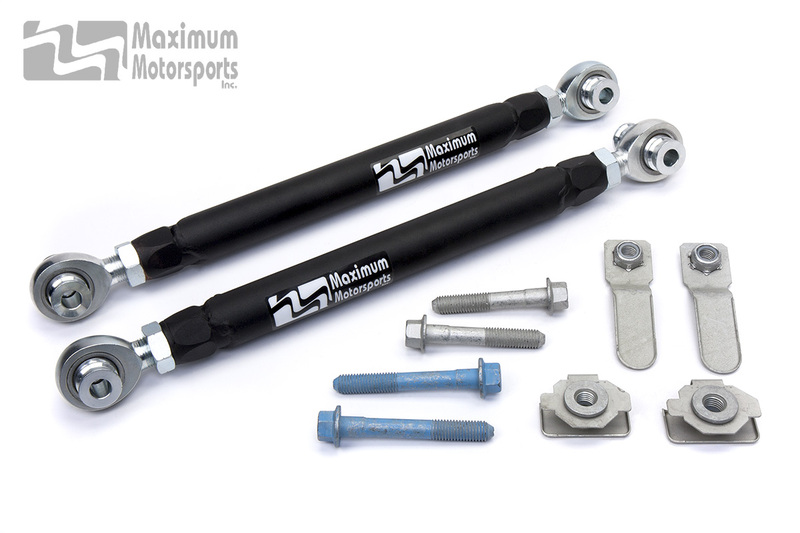 Improves appearance by lowering approximately 1.8" to 1.9"
Urethane front control arm bushings. Not recommended for electric steering rack.